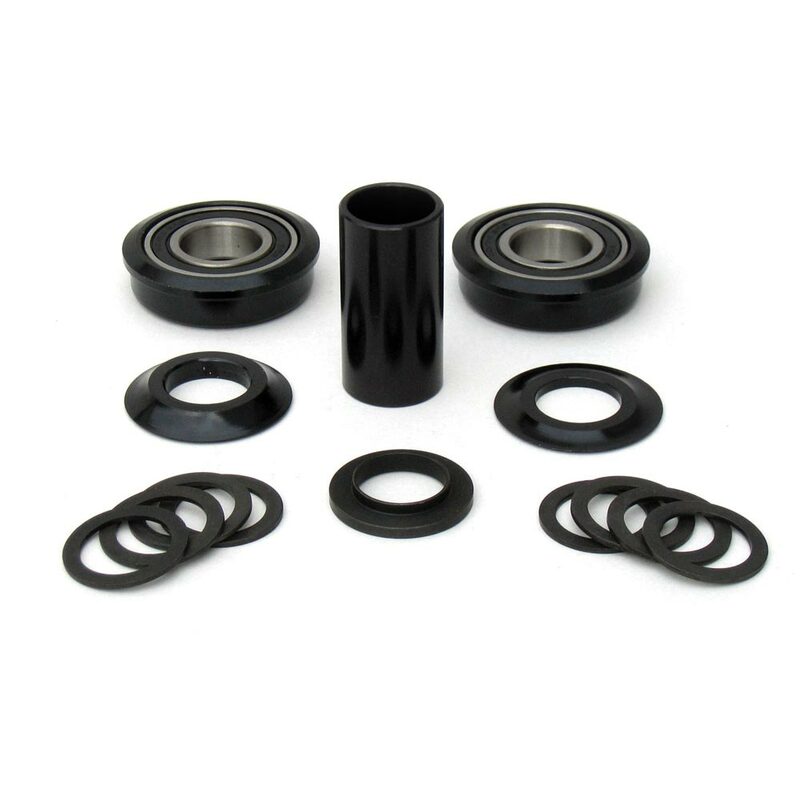 CNC machined alloy cups and flush bearing covers, with big, burly, high quality sealed cartridge bearings. Waffen BMX BB system for 22mm axles. Precision CNC machined alloy cups. 2 large replaceable industrial cartridge bearings. CNC machined flush fit bearing covers.